Trashcans… many homeowners have them, but besides rolling them out to the curb once a week, not many people give them a second thought. 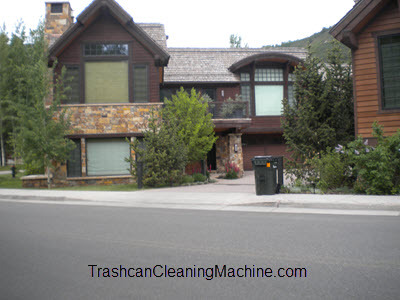 It’s our job, as professional trashcan cleaning service operators to ensure people in communities all over the country understand why they need to have their trashcans cleaned on a regular basis. We have put together a Q&A session to help prepare you for the questions potential customers are sure to ask. Q- Why should I have my trash bin cleaned? A- You want to explain to them that, if left dirty and unattended, a dirty trashcan will breed a wide array of harmful bacteria including Tuberculosis, Strep, staph, E-Coli, Salmonella & Listeria. Q- How often should my trash and recycle bins be cleaned? A- Let the customer know that their trashcans should be cleaned on a monthly basis to protect them and their families from sickness and disease. For homes that use their cans more often or have much larger families than most, suggest a cleaning every 2 weeks. Q- How will I know that my bins have been cleaned? A- Ensure that customers know that their trashcans have been cleaned via an email confirmation or other messaging source. Sometimes the fresh smell and clean look go unnoticed. Q- When I return home I found that my trashcan has been cleaned. I have not signed up for your service. Why did you do this? A- This is something that you may choose to do for a new residential area or community that you want to gain new customers in. A quick but thorough cleaning will show them what their trashcans could look like and will net you some new customers in the process. Q- Sometimes I take my trash bins in early and don’t leave it at the curbside, how would it be cleaned? A – Make sure new and potential customers are aware of the fact that their trashcans need to be out at the roadside for cleaning and that your team will return it to the customer’s designated spot near their home or garage. There you have it; some of the most asked questions from new and potential trashcan cleaning service customers. Knowing the answers will make your business shine and put faith in the customer that you know what you are doing and will do a good job.